Some people are naturally likeable. They enter a room full of people and everyone smiles. They tell a joke and everyone laughs. They get invited to everyone's parties. Even when they disappoint others they are quickly forgiven. But why? How is it that some people always seem to have friends no matter what? If all of your friends agreed to forgive you X times a year, how much would X equal? If all of your friends committed to be friend no matter how you treated them, how would this change you? Friends come in about 6 billion different types. Some friends are self-reliant and interesting. These friends laugh a lot, try new things, have dreams and goals they are achieving, are always making new friends and introducing their friends to each other, and they are always lending a helping hand. Other friends are awkward. They don't initiate contact or conversation - but still expect it from others. They are pessimistic and reluctant to try new things. They always seem to be battling something. We also all have friends who are up and down. And then there are friends who are transactional (perhaps work colleagues or sporting team mates). No matter how you might describe your friends, in order for them to be a friend, a true friend, they must have learned or experienced your fault(s) and chosen to overlook it/them. This is one of the fundamentals of a strong friendship - covering an offense. Friends know (some of) each others' faults, weaknesses, and battles. We all have them- faults, that is. We each have different strategies for handling them. Some of us hide them as best we can. Some of us blame-shift. Still some of us just own up to them and hope others can make allowances for us. So if you are looking for people to be your friends, you might want to accept that not everybody is going to be able to overlook your faults. Don't worry too much about this. It's normal and average. But people like this usually make excellent acquaintances. They will chat with you about the weather, about work, sport or even politics. Most of your friends throughout your life will be acquaintances. Fewer of our friends will be close-friends. Most people will only every have around 7 close-friends thoughout their entire life and often only one or two at a time. These are friends who know your faults, failings, and bad-habits and have grown to overlook them. Then there are our closest-friends. Most emotionally healthy people will have one, maybe two, such friends throughout their lifetime. Your spouse is the most elligible person to be your closest-friend. A good friend hangs in there with you - they stick (Proverbs 18:24) - despite your faults. By the way, the One who knows you best loves you most. A good friend is cool-headed - they don't scare you (Proverbs 22:24) - even when they are under pressure they don't lash out at those around them. A good friend is generous - they don't use you (Proverbs 19:6) - they help you. A good friend imparts joy and shares in our highs and lows (Romans 12). A good friend is both interested and interesting - they have pursued wisdom and knowledge (Proverbs 27:9) - and can speak well. A good friend is honest - because they care they challenge, correct, rebuke and reconcile (Proverbs 27:6). They smile and look happy around people. They have a generous spirit. They remember small details about people they are speaking with. They are interesting- they try new things, read new books, take courses to learn, exercise, socialise and evangelise. You are more likely to have (more)friends if you also emulate these traits. Of course, if you think about it, God is The Ultimate Friend. To worship God is draw near to your best friend. Father, help us to make friends well. Help us to care for our friends and help them. Grant it oh God that we can be a better friend to more people. I love church. I love being in church on a Sunday. I probably have the best job in the world because I get paid to lead a church and focus my life on it. I enjoy my ministry. I enjoy our church. But I have discovered that even with things that we enjoy, there can be pressure, tension and difficulties. But like the Psalmist, I am still glad to be a part of the Church! There was once a preacher who was invited to a small country church. He accepted the invitation and took his young son along with him. They arrived early at the church, which was open, but found no-one. While they waited for someone to arrive, they noticed a wooden box on the back wall with a slot in it. The preacher took out $20 and deposited into the offering box as his son looked on. Soon enough a few of the regulars turned up and the church service was under way. The visiting preacher poured his heart out and at the end of the service the deacon came up to him and vigorously shook his hand with genuine gratitude for the preacher's efforts. "You preached real well today pastor, real well. In fact, we have a visiting preacher offering box on the back wall into which the congregation can show their appreciation. And they really liked you today!" With that encouragement, the deacon gave the pastor an envelope. The pastor thanked the deacon and bid his farewells. In the car on the way back home he opened the envelope with his son looking on. Inside the envelope was $20. The pastor's $20! "Well Dad", said the son, "don't be disappointed! If you'd put more in, you would have got more out!" When we do things with gladness we are 'putting in' and are then more likely to 'get more out'. Thus, an attitude of gladness affects our level of appreciation because being glad about what we have produces within us a sense of treasuring. Afterall, if you had treasure wouldn't you be glad? Coming together as God's people in worship we are treasuring God's presence and we are made glad. Let us be glad and be glad together and be glad to be together ! Father, help us to be glad and to declare to this world that You are great! May we be caught off guard by Your magnificence at the most inconvenient times. When we are unnecessarily distracted by the mundane, please forgive us and help us to quickly repent and experience Your forgiveness. Give us a greater love for those closest to us, and an increasing love fr our church family. As this Sunday approaches in which You have ordained that we meet together to rest in Your presence through worship of Your Saviour, Jesus Christ, fill us with extraordinary gladness. Help us to encourage our brothers and sisters who have been embattled this week. Help us to rejoice with those who have triumphed this week. Help us to hear from You and draw nearer to You where we can hear Your whisper convicting us to repent, to stretch, to obey, or to reconcile. Please give us Your grace to be humble ambassadors to a lost and dying world that urgently needs to know You - the Source, Point, Hope and Reason for life, and to do so gladly. Joy. It is one of the hallmarks of the Christian life. It is a fruit of the Spirit. It is a happy, rejoicing response to our circumstances. For the believer, joy is the facial and emotional declaration to the world that God is good and that my highest desires for satisfaction and fulfilment are met in Him. Joy in someone is obvious to everyone. The face of a mother-to-be betrays the delightful joy of the news they have just had confirmed by their doctor. The boyfriend in a longstanding and wholesome relationship with his sweetheart cannot conceal that his former girlfriend has just agreed to become his fiance. His attitude and perkiness tell all around him that he is happy and joyful. The face of the father of an honoured student at her conferring ceremony is only matched by how many photographs he takes of his "little girl" as she graduates with her degree in surgical medicine. The despairing business-person who has been deeply betrayed in more ways than anyone will ever truly know, has just met a Saviour who they have strangely and mysteriously discovered to be infinitely faithful, reliable, caring and considerate, and now their whole world seems clearer and brighter. They are happy. things if we will not be happy.” The ﬁght for joy is not a warfare I appointed. God did. Joy is something, says Piper, that we must display. It shows our delight in God. It confirms our ultimate satisfaction being derived from knowing God. It declares to the world - "Hey! I've found it! I've found what we're all looking for!!!!" who says to Zion, “Your God reigns.”. We need a church full of people full of joy! But we don't always feel happy or full of joy. It's these times, argues Piper, that we must fight for our joy. He draws upon a document called the Westminster Shorter Catechism in which it says from the outset: The chief end of man is to glorify God and enjoy Him forever. Piper says this opening statement can be amended to The chief end of man is to glorify God by enjoying Him forever. To truly give God His right glory demands that we enjoy Him and display our happiness to the world. Not feeling joyful? Perhaps you need to repent of whatever is robbing you of joy and pray for God to restore to you the joy of your salvation (Psalm 51). Perhaps you need to change your diet or sleep habits? Maybe you need to seek God and ask Him to remove every obstacle to your happiness in Him? Having a happy attitude can make the world of difference to how you see life, God and your future. Your happiness matters! A lot! Matthew 25:21 ¶ ...Enter into the joy of your master. Happy people laugh. Happy people sing. Happy people are thankful people. Be happy! Make the decision to turn from accepting gloom, to only being satisfied with God's joy. I pray that in the midst of our circumstances we can be full of joy and happiness. I pray that we as a church will be rejoicing, full of joy, delighting ourselves in God, and happy for knowing Christ and His people. Happy people are attractive people. Let's decide to be happy for God's glory! When we walk with the Lord In the Light of his word What a glory He sheds on our way! While we do His good will, He abides with us still, And with all who will trust and obey. Trust and obey, for there's no other way To be happy in Jesus, But to trust and obey. Not a shadow can rise, Not a cloud in the skies, But His smile quickly drives it away; Not a doubt or a fear, Not a sigh nor a tear, Can abide while we trust and obey. Not a burden we bear, not a sorrow we share, But our toil He doth richly repay; Not a grief nor a loss, Not a frown or a cross, But is blessed if we trust and obey. But we never can prove the delights of His love Until all on the altar we lay; For the favor he shows, And the Joy he bestows, Are for them who will trust and obey. Then in fellowship sweet We will sit at his feet, Or we'll walk by His side in the way; What He say's we will do, Where He sends we will go, Never fear only trust and obey. Much damage to the credibility of the Bible has nearly been done by those who twist the contents of the Book of Revelation to force it to sound like it refers to the events of our present day. Time and time again, so called Bible-Prophecy teachers have been left with egg on their faces as their ridiculous speculations have proved to be completely wrong. Our Administrator forwarded onto me a copy of an email we were sent claiming that our understanding of the Book of Revelation was wrong and that we would be humiliated by the Lord when the Rapture took place on October 17th 2009!!! There are times when we must stop. During these arrested moments the believer considers. To consider is to think, ponder, mull over, positively meditate, and dwell on. Hebrews 12:3 ¶ Consider him who endured from sinners such hostility against himself, so that you may not grow weary or fainthearted. We seem to be creatures who are easily distracted and too easily forgetful. The Scriptures confront these weaknesses with a remedy by calling us to pause from our frenetic helter-skelter and to leave the freeway of distraction and come aside to the rest-stop of reflection. It is here that Ancient-Tried-And-True beckons us to consider Jesus. Consider that He endured completely unreasonable hostility for our sakes (Heb. 12:3). By considering this, we are promised that it will bring refreshment to our near weary and faint hearts. Christ's suffering and humiliation is considerable. A challenge to consider is a call to think afresh about previously unrealised things. A challenge to remember is a gentle rebuke against our weakness of forgetting to easily and too soon. Christianity should be considered and reminiscent. Consider Jesus in His sufferings, remember Jesus in His triumph. I was sharing with some one recently who was struggling in their faith. I encouraged them to consider the One we worship who walked the earth a mere 2,000 years ago. Consider His impact. Consider the response of His audience. Consider the reaction of His opponents. 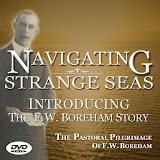 Consider how historians (both Biblical and non-Biblical, in His own day) recorded His life. "Extraordinary" "Divine" "Unlike any other" "Messianic" "Sublimely inspirational" - are the terms we might use to sum up the universal appraisal of His life and teaching by historians. Consider that this homeless carpenter from Galillee claimed that He was the eternal God revealed in flesh who would abide with all those who chose to follow Him - even to the end of the Age. Abide. "I will never leave you nor forsake you" - I will abide with you. 1John 4:13 ¶ By this we know that we abide in him and he in us, because he has given us of his Spirit. There are several ways to consider and remember Jesus. Moment by moment the best way is in prayer. Day by day the best way is in Scripture reading. Week by week the best way is in the fellowship of God's assembled worshipers who give themselves to the Word, to Witness and to congregational Worship. This weekly time together calls the redeemed to consider Christ through the words that we sing together, the Table of Institution, the preaching of the Living Word, and the fellowship of holy-provokers. This weekly time together calls us to remember Christ- what He has done, what He is doing, and what He will one day do. Take this moment, this day and this week to consider Jesus and to remember Him. If the fire of passion for Him has dimmed, consider, remember. John 15:16 You did not choose me, but I chose you and appointed you that you should go and bear fruit and that your fruit should abide, so that whatever you ask the Father in my name, he may give it to you. Dr Kenneth Gentry is the author of BEFORE JERUSALEM FELL. In this book he makes an irrefutable case for why the Book of Revelation must have been written around 65AD (not 95AD). 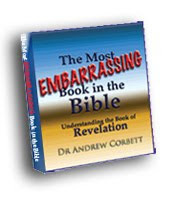 This is an interview I did with him for an upcoming DVD we will be releasing soon on how to understand the Book of Revelation, based on my book- THE MOST EMBARRASSING BOOK IN THE BIBLE.